Two teams of athletes (?!) from Walker Foster Solicitors took part in the Skipton triathlon on Sunday. After much debate we’ve decided to call it a draw! 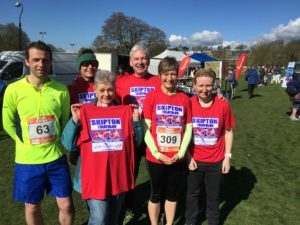 The Skipton triathlon is a fantastic event and we were very impressed with the organisation and enthusiasm on show! A big thank you to the organisers and we will see you next year!